To volunteer to help or to pass on a tip, email pearlproject@georgetown.edu or call (202) 687-7136. 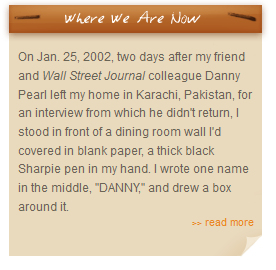 "The Pearl Project honors the truth through patient, meticulous, and accurate reporting." Students use technology to organize the information they gather. Visual mapping of the investigation helps us to identify relationships between individuals. The software we use is widely used by investigators and analysts in forensic science and criminal justice. We ground our next generation of investigative reporters in technology tools that supplement old school gumshoe reporting.